How do we connect the internet with the real world? Every day marketers ask themselves this question. Sometimes it seems as though the online world and the real world are two separate places and two separate states of mind. There has to be a bridge between what you see online and your everyday life. Agencies are in the perfect position to help their clients get the best of both worlds: online and offline. 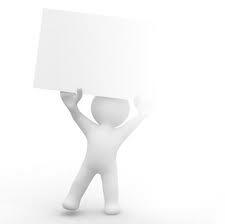 There are four smart reasons why advertising and marketing agencies should get our white label service. Great ROI. Agencies of all types who get our white label service receive a discounted rate for the service, which means they can make a higher return of profit for their services. Ease of use. Agencies get a marketing platform that is incredibly easy to use and requires little management. Great team support. Agencies that use our white label program have access to our customer service team who offer guidance for your mobile marketing programs. Your agency will get your own KEYWORD for your business, your client or for each customized campaign. Our marketing platform gives you the ability to much more than to send group text messages. You can create mobile contests, voting campaigns, coupon programs and much more. Our platform allows you to add this essential bridge between the online and offline world. Try it tomorrow to see how seamlessly you can integrate SMS with your overall marketing mix! Your clients will see immediate results. For more information, please see our white label page on our website.